Exercise and a healthy diet are two recommended courses of action for good health. However, very little is known about how exercise may influence dietary patterns, eating habits and preferences for certain foods. Previous research has found that moderate exercise can reduce a preference for high-fat foods in animals through changes in dopamine levels. Other studies also have shown an association between the intensity of exercise and the amount of appetite-regulating hormones in the body. Participants were instructed not to change their diets in any significant way, but the study found that after exercising for 15 weeks, sedentary participants were more likely to choose healthy foods such as lean meats, fruits and vegetables while preferences for fried foods, sodas and other unhealthy foods decreased. The current study was conducted by researchers from the University of Texas to examine the effect of a 15-week exercise training program on overall dietary patterns among young adults. The study consisted of 2680 students from University of Houston and the University of Alabama at Birmingham. They were between the ages of 18 and 35 and were drawn from the Training Intervention and Genetics of Exercise Response (TIGER) study. Participants who reported to less than 30 minutes of exercise a week in the beginning of the study started with a 30 minute aerobic session three times a week for 15 weeks. The exercise sessions consisted of 30 minutes of aerobic exercise at 65-85 per cent of the person’s age and gender-specific maximum heart rate, along with a five-minute warmup and a five-minute cool down. Participants could choose from a variety of exercise types, such as on stationary bikes, treadmills or elliptical machines. They wore heart rate monitors to record exercise duration, intensity and dose. The participants recorded their dietary patterns and eating habits through a food frequency questionnaire before and after exercise training and in total, 4355 dietary observation with 102 food items were collected. Participants were instructed not to change their diets in any significant way, but the study found that after exercising for 15 weeks, sedentary participants were more likely to choose healthy foods such as lean meats, fruits and vegetables while preferences for fried foods, sodas and other unhealthy foods decreased. A longer duration of exercise was associated with decreased preferences for the western dietary pattern — increased intake of fat, red meat, and carbohydrates and minimal consumption of fruits and green leafy vegetables — and snacking patterns, while a higher intensity of exercise was linked to an increased preference for the prudent pattern, which is high in fruits, vegetables, legumes, fish, and poultry. A higher dose of exercise was related to a decreased preference for the snacking pattern, which is characterised by intakes of high-energy, low-nutrient-density foods such as candy, ice cream, packed fried snacks, soda and sugar-sweetened fruit-flavoured drinks. A higher dose of exercise was also related to an increased preference for the prudent dietary pattern. 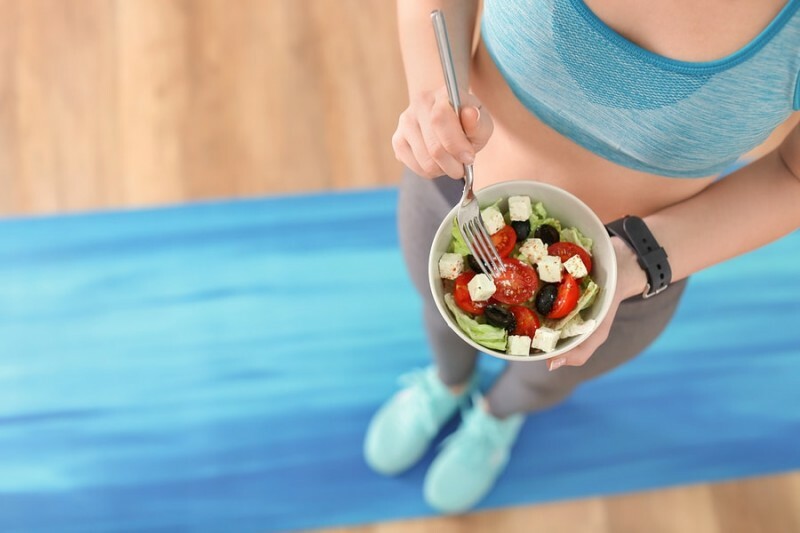 This latest evidence confirms why exercising should be encouraged and promoted as it can result in reformed eating habits contributing to a healthy diet. The combination of both — exercise and healthy eating — can be extremely beneficial to your health.